Merry Christmas and peace and joy to all! Embellished with green pom poms and red bells, this must be for Christmas! 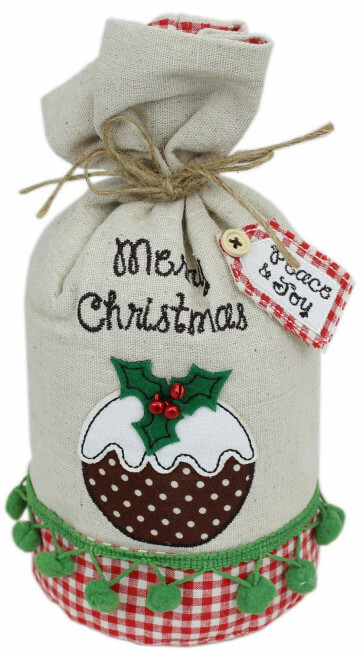 A fabulous Christmas pudding doorstop. Lovely hessian style fabric with a red gingham check base, and decorated with the afore mentioned bells and pom poms. Finished with a rustic string bow, it will add a sophisticated touch to your Christmas decorating.